Dr. Carmela LaFalce was born and raised in New Jersey. She graduated from Rutgers College in 1986 as a Biology Major. She also received certification in Secondary Education. Following her degree attainment, she attended the University of Medicine & Dentistry – New Jersey Dental School graduating in the top 10% of her class. Dr. LaFalce’s advanced training and 25 years of private practice experience are benefits to the patients at Signature Smiles LLC. Her passion for continuing education has led her to receive extensive training in the areas of dental implants, cosmetic and restorative dentistry, porcelain veneers(at the hands on program at NYU aesthetic Continuum), Botox and Dermal fillers, CEREC(single visit crowns), Essix MTM clear aligners, and nitrous oxide analgesia to calm apprehensive patients. Dr. LaFalce is also committed to giving back to the community. She is a volunteer dentist for NJ Dental Lifeline Network, providing comprehensive dental treatment at no charge to eligible patients. When not “Creating Smiles for a lifetime”, Dr. LaFalce enjoys spending time with her family at the beach in the summer, and on the slopes in the winter. She is also an active member of the Ocean County Mothers of Multiples, a non-profit organization (celebrating 40 years), that supports mothers of multiples through caring and sharing. 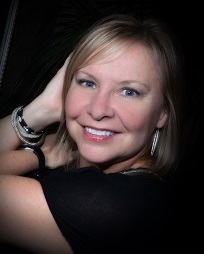 Lisa brings to our practice an array of experience and creativity. As a graduate of Georgian Court University with a degree in Business Administration, she joined the Signature Smiles team in 2012 after many years in the business management field. Her main focus is to assist our patients in making their dental experiences exceptional by ensuring consistent, patient friendly scheduling and billing, as well as overseeing all other business aspects of the practice. Outside the office Lisa enjoys spending time with family and friends, DIY projects and relaxing on the beach. Allison is Dr. LaFalce’s clinical assistant. She graduated from Dental Assistant Services with her Dental Assisting and X-ray licenses. 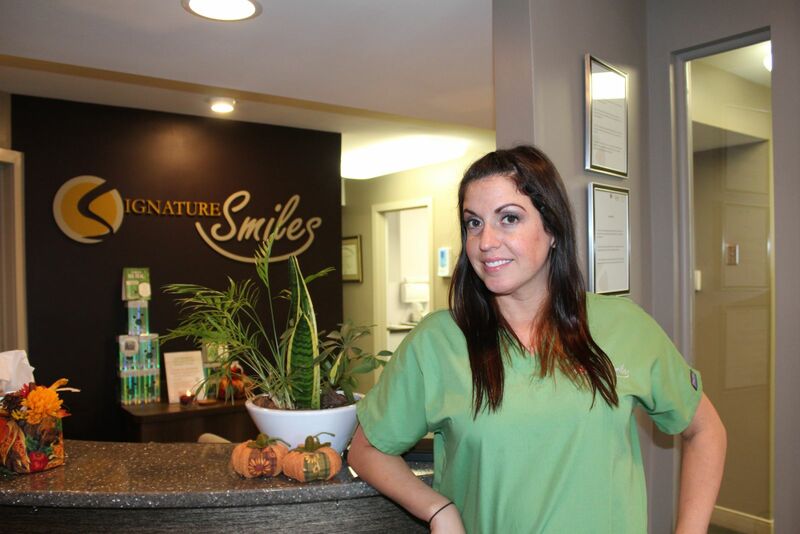 In 2011, she joined the Signature Smiles team. As Dr. LaFalce’s “right hand man” (or woman), she is friendly and compassionate and strives to ensure our patients are comfortable and have positive dental experiences. You may also find her answering the phone and scheduling patient appointments. In her free time, Allison enjoys the company of family, friends and her dog Lucy. 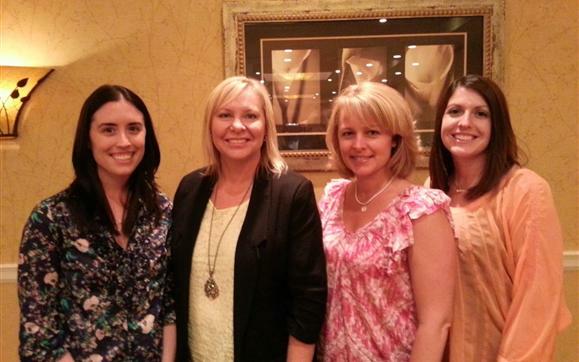 Cindy’s love for dentistry started in High School while working for an orthodontist. She attended Middlesex County College for Dental Hygiene School and continued her education at Rutgers to get a bachelor’s of Science Degree. She has enjoyed teaching people how to best maintain healthy teeth and gums for over 20 years. When she is out of the office, she enjoys spending time with her husband and kids at the beach or local parks. 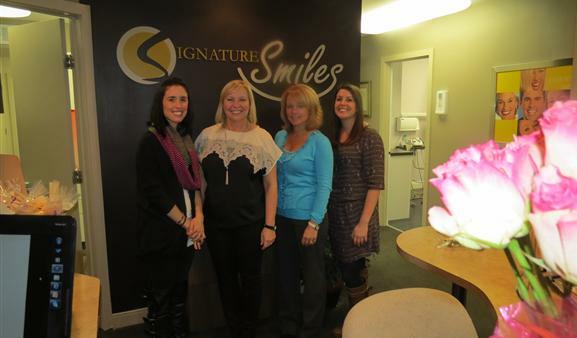 Cathie is thrilled to be one of the dental hygienists on the Signature Smiles team! Motivating patients to take pride in their dental health and smile power are her professional goals. A graduate of Bergen Community College and Fairly Dickenson University, Cathie has been a licensed RDH for 38 years! Cathie is proud and thankful for her continually growing family. She is a big fan of the beach, sailing, theatre and traveling. Always accepting of life’s adventure with a sense of humor and, of course, a smile! 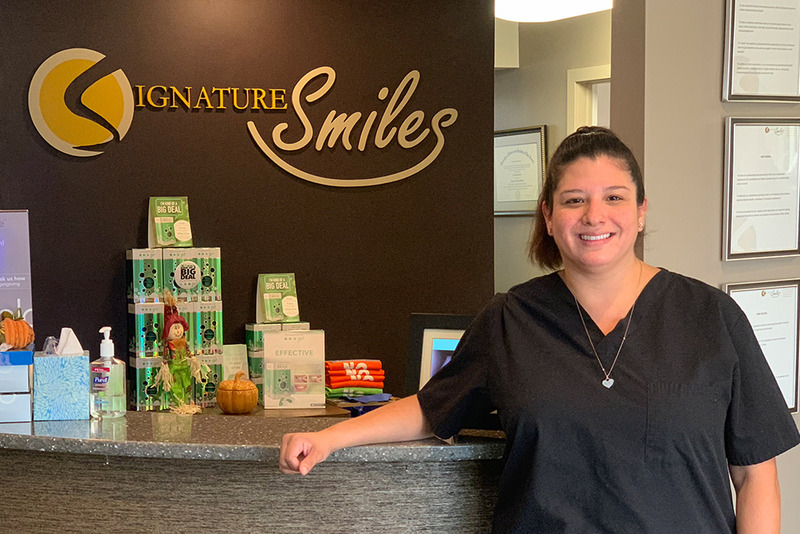 Susan is the newest addition to our Signature Smiles team. She graduated from Burlington County College in 2011. Before deciding to enroll in the Dental Hygiene Program she worked in the dental field as an assistant for 7 years. She enjoys waking up each morning and coming to work, and always has a smile on her face. She has a true passion for dentistry and working directly with patients to provide the total patient care experience. During her free time, she enjoys the beach, concerts, traveling and most importantly spending time with her family. Yes, we are currently accepting new patients starting at 3 years old! Please call (732)244-4114 to schedule your initial visit with Dr. LaFalce. At this appointment Dr. LaFalce will perform a comprehensive examination of your teeth, gums, jaw joint and bite. Your blood pressure and pulse will be taken and an oral cancer screening will be performed. A full series of digital x-rays will be taken to complete the diagnosis and treatment planning process. Once an assessment has been made we will be happy to schedule you with one of our highly qualified and GENTLE hygienists for your oral hygiene (dental cleaning) visit. We looking forward to meeting you! Prior to your initial visit we will need to get acquainted with you by having you fill out a registration form containing personal as well as medical and dental history information. The new patient forms must be completed before we see you. You may download the forms from our website to print and fill out in the privacy of your own home OR you may arrive 15 minutes prior to your scheduled appointment time to fill them out. As a courtesy to our patients we make confirmation calls at least 2 days in advance. If an emergency should arise and you are unable to keep your appointment, please notify us within 2 business days or be subject to a $25 fee. This fee also applies if you fail to show up for your appointment. Our office gladly submits all insurance claims to various insurers (traditional and PPO plans) on your behalf! We do participate with Delta Premier and Cigna PPO. Any portion of the fee which will not be covered by your insurance plan (copay) is due at the time of service. Please keep in mind that your specific policy is an agreement between you and the insurance company. Policies can change or your employer may switch your level of coverage so the estimate of benefits we provide are just that, an estimate. Any portion of the fee not covered by insurance is due from the patient. We work very hard to give the best care and to ensure you receive the maximum benefit from your insurance carrier. If there is ever a question about coverage please do not hesitate to call your insurance company or employer. We encourage all of our patients to be familiar with the particulars of their specific benefit plan!